Lisa is a partner at Redstone and a member of the Business and Litigation practice groups. She represents clients on a wide range of business matters, including business transactions and negotiations, real estate matters, and family estate and business planning. 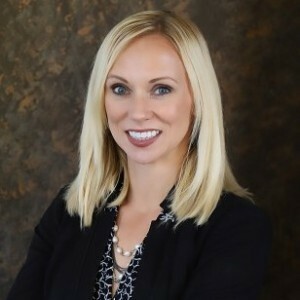 In addition, Lisa has developed a comprehensive civil litigation practice, focusing on commercial litigation, shareholder disputes, trust and estate litigation, and real estate law. Prior to joining Redstone, Lisa worked as a Law Clerk for the Honorable Glen A. Severson of the Supreme Court of South Dakota. She was responsible for reviewing hundreds of appellate briefs, assisting the Court in preparing for oral arguments, and researching and writing decisions. Lisa also worked as a Law Clerk for the judges of the Second Judicial Circuit of South Dakota, where she was responsible for conducting legal research and assisting judges in drafting orders and memorandum decisions. Lisa worked as an associate attorney at Redstone for four years before accepting a position with Citibank as a Vice President and Trust Officer. She served in this position for a year before returning to the private practice of law as a partner at Redstone. More Questions than Answers: Plains Commerce Bank v. Long Family Land & Cattle Co. and the United States Supreme Court’s Failure to Define the Extent of Tribal Civil Authority over Non-Members on Non-Indian Land, S.D. Law Rev., Vol. 55, Symposium Issue (2010). Most interesting place she’s visited in South Dakota: Mountain biking on the George S. Mickelson Trail in the Black Hills. Little known fact about Lisa: During the summer while she was attending college, Lisa worked as a wildland firefighter in the Black Hills. While not at the office working with the Redstone team, Lisa enjoys: Spending time with her husband, Casey, and her son, Jack. She also enjoys traveling, hiking and spending time in the Black Hills.